Give your hair a vacation this season. The last thing we want to do on the weekend, when we're finally free of the pressures from work, is to come home and spend hours styling our natural hair. And during the week, it's impossible to find the time between exercising, commuting, working a full-time job, and maintaining an active social life. So when are we supposed to find time for wash day? Here's the truth: We find any excuse to procrastinate or put it off altogether — and there's nothing wrong with that. That's why we love protective styles so much. They’re convenient, easy to maintain, and give natural hair a break from manipulation and styling. Because we don't always have time for the 15 steps and eight products it takes to get a fresh twist-out or wash-and-go. Whether it’s braids, buns, or bantu knots, playing around with protective styles also gives you endless opportunities to reinvent your look (while saving tons of time). To help inspire your fall hairstyle, we rounded up some of our favorite celebrity looks ahead. Braids are fun, but they're even more eye-catching in geometric shapes. Celebrity hairstylist Marcia Hamilton twisted Alicia Keys' hair into hexagon-shaped micro-cornrows, and gathered the loose braids to form four larger plaits. Raven Symone's undercut gave her box-braid bun an edgy vibe. Taraji P. Henson dressed up her braids with gold accents and a silver hoops in her middle plait. For an easy protective style, copy these side-parted cornrows seen on Tracee Ellis Ross. You can grab a pack (or two) of Kanekelon braiding hair from the beauty supply story and DIY the look at home. A good protective style isn't limited to just braids. 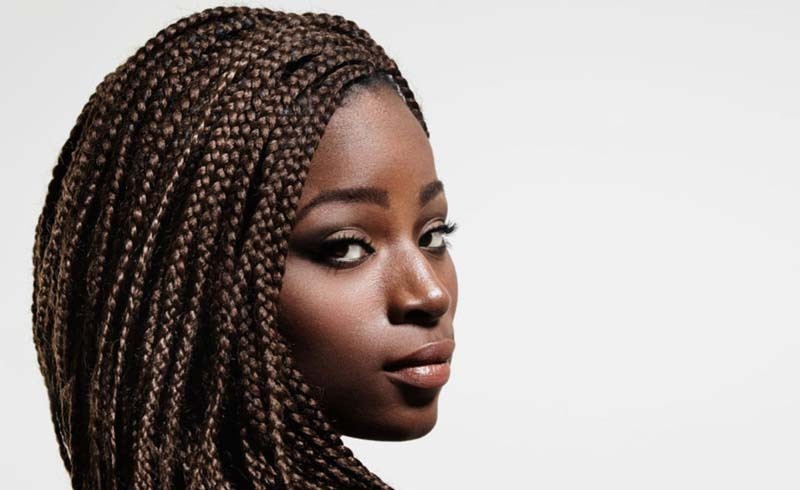 You can take a break from styling by tying your natural hair into two-strand twists. Keep them in for a few days, and once you unravel them, you'll be left with a bomb twist-out. Lacy Redway gave Amandla Stenberg's cornrows some extra swag by parting her hair in zigzag patterns. Micro braids are cool because you can let them cascade down your back, or toss 'em in a bun to create a totally different hairstyle. Goddess locs are a great way of protecting your natural hair, while still being able to create different styles. We'll definitely be sending this photo of Eva Marcille to our hairstylist before our winter appointment. Complete your cornrows with some extra-long box braids à la Kerry Washington. You can wrap the ends up in a bun or rock a lengthy ponytail. Jourdan Dunn added two long braids with wooden beads to her bantu knot hairstyle.